Here is a Sneak Peek at my latest Public Art Commission, which will be donated to the city of Pietrasanta. The sculpture is titled “Spirito Libero, Portatrice di Luce” and is in honor of Valentina Prisco, whose life was taken at 27, by a drunk driver in 2013. The monument is dedicated to all victims of the road and to the Italian Organ Donor Association, A.I.D.O. 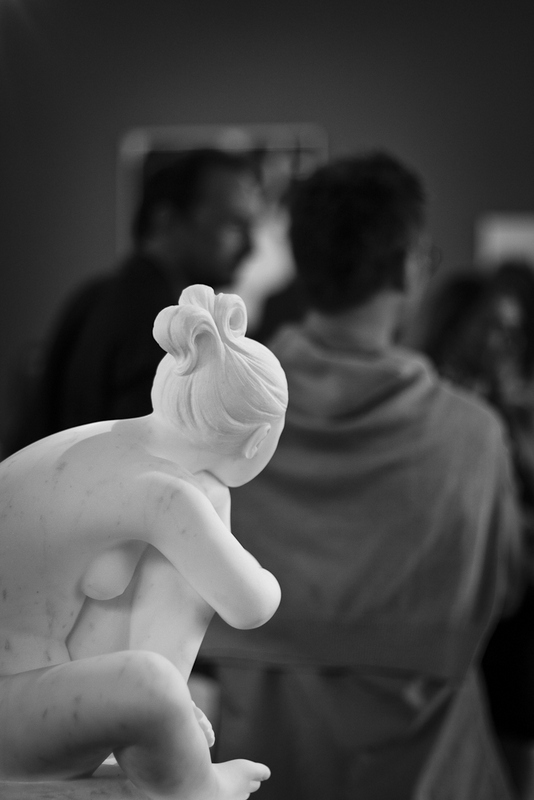 The photo depicts the model, which is in gesso – the sculpture, which will stand 2 meters 38 centimeters, and will be carved out of Carrara White Marble. The monument is scheduled to be inaugurated in the Fall, and will be placed by the Viale a Mare, in Tonfano, Pietrasanta. 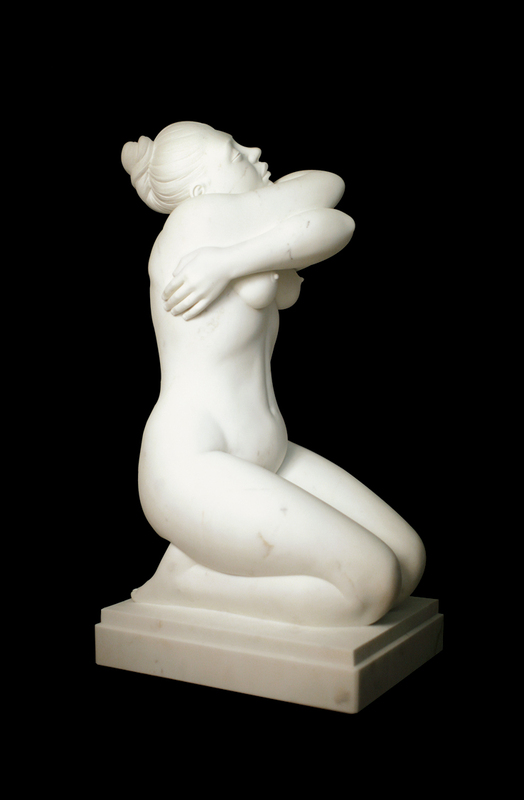 Another one of my marble sculptures is to be auctioned at Sotheby’s tomorrow, the 21st of November, 2017. 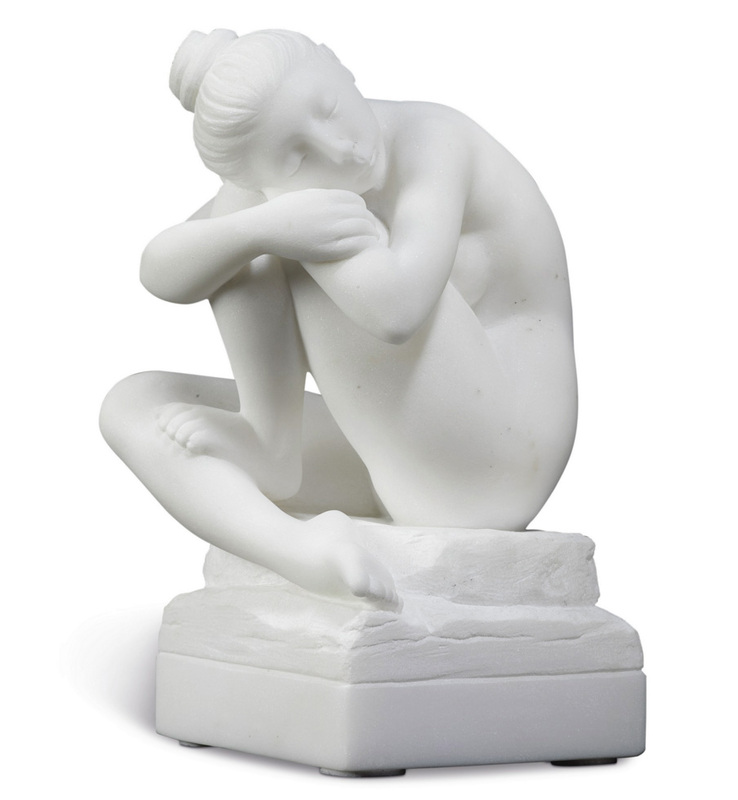 “Tranquilidad” precedes “Selene” – it is white statuary marble and is 5 1/2 x 4 3/4 x 9 3/4 in. (14 x 12 x 25 cm). Peace and harmony were the guiding principles of the inspiration for the sculpture. The auction takes place November 21st, 2017 at 2pm Eastern Time. You can view the Catalog page on Sotheby’s site, linked here. You can actually bid for the work, in real time, by creating an account on the Sotheby’s site at the link above. 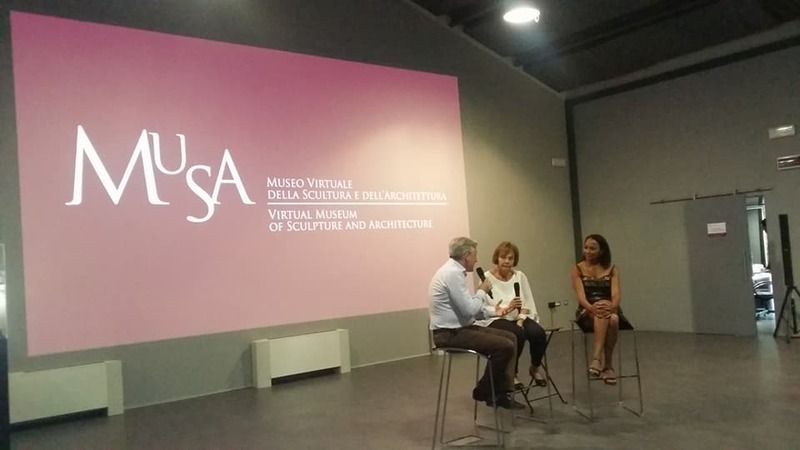 On the evening of September 8th, I had the pleasure of sharing the stage with Yemisi Wilson, at Pietrasanta’s Virtual Museum of Sculpture and Architecture, MUSA. The evening was a lively get-together, and was well attended. 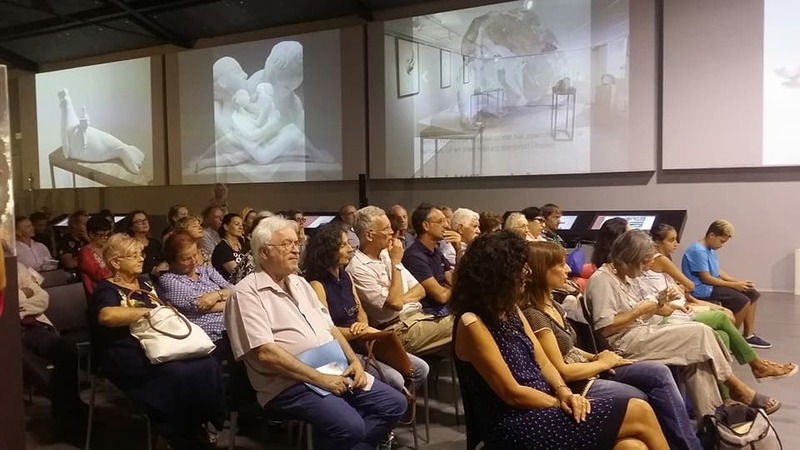 We had an opportunity to meet with fans, colleagues and friends; we were interviewed by Massimo Marsili the Museum Director who asked us about our experiences in Pietrasanta’s sculpture scene. 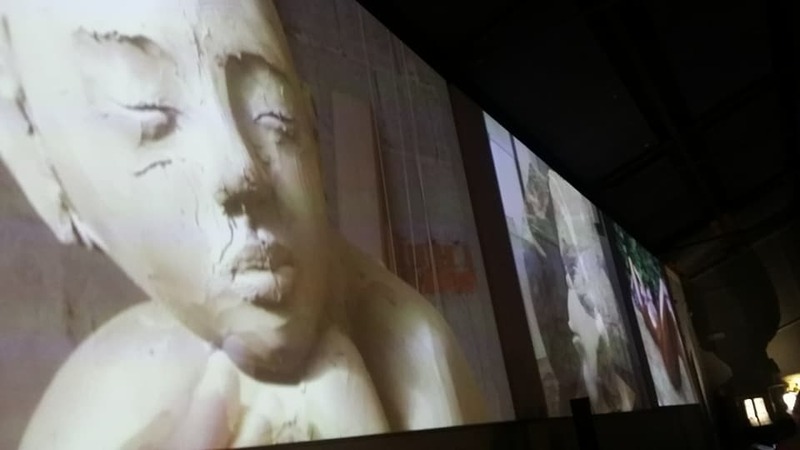 Additional videos and photographs were projected on the Museum’s over-sized screens. Yemisi and I both had several works on exhibit. After the talk we shared a glass of Prosecco in the Museum courtyard. People were touched and very enthusiastic. Eight models from the Museo dei Bozzetti’s collection are on display in Cinquale di Montignoso, in the Comune di Massa, for the “L’ispirazione è il motore di tutto BMW Luxery Excellence Pavilion”. 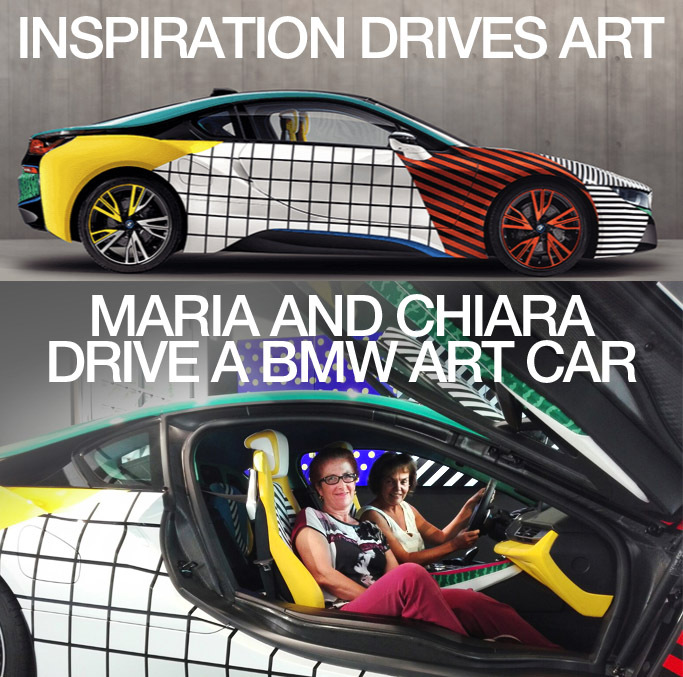 On exhibit is a Roy Lichtenstein BMW Art Car and a one-of-a-kind prototype. 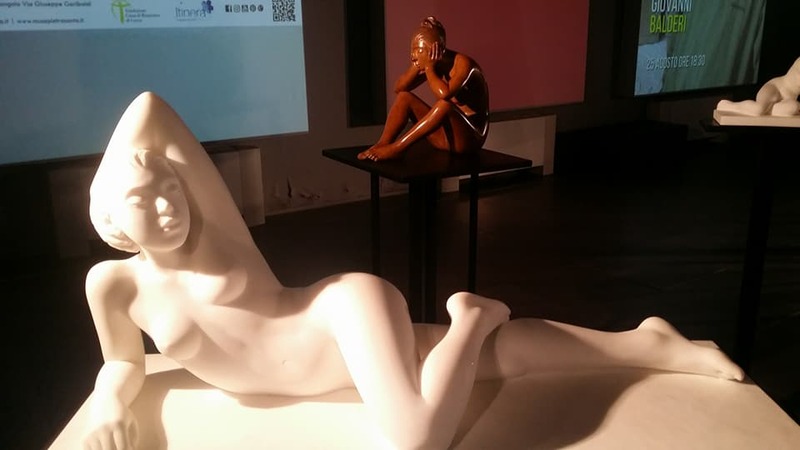 My model (70cm, plaster) of “The Observers” sculpture is featured alongside models by Giuliano Vangi, Pietro Cascella, Helaine Blumenfeld, Inger Sannes, Kan Yasuda, Igor Mitoraj and Nall. The exhibition lasts until the 31st of July. For more information, visit the BMWPavillion site, linked here. 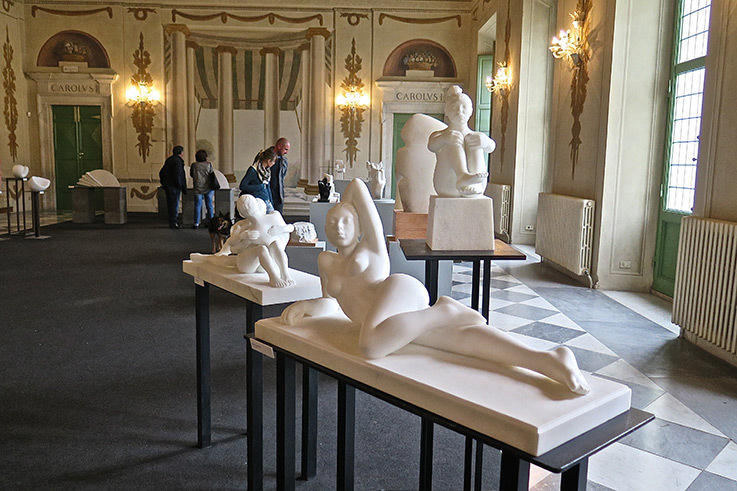 The Museo dei Bozzetti in Pietrasanta has a collection of artists plaster models – and these, in a way, are the prototypes of the finished sculptures. The Museum is a unique glimpse into the creative process, and a wonderful art experience. Visit the Museo dei Bozzzetti‘s website for more information, linked here. A special thank you to Chiara Celli, the Director of the Museum, for a wonderful drive! 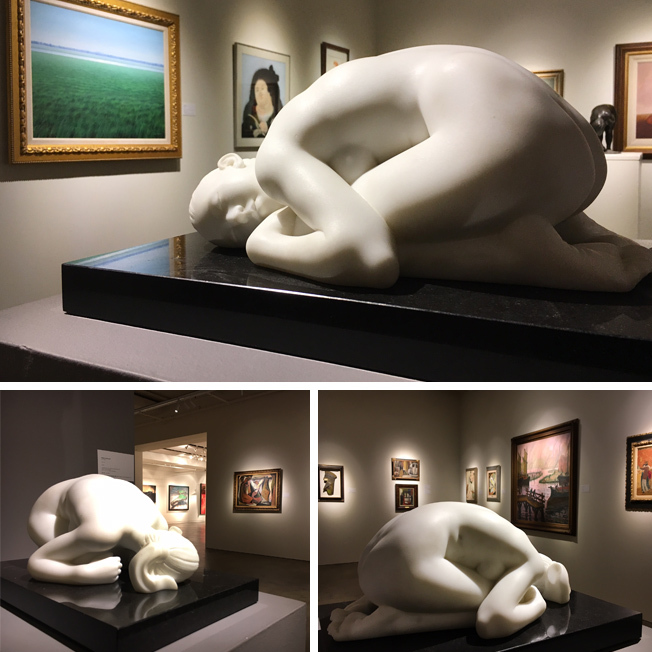 “Sasso”, one of my Statuario marble sculptures was sold for the estimated price at Sotheby’s “Latin America: Modern Art Auction” held in New York today. 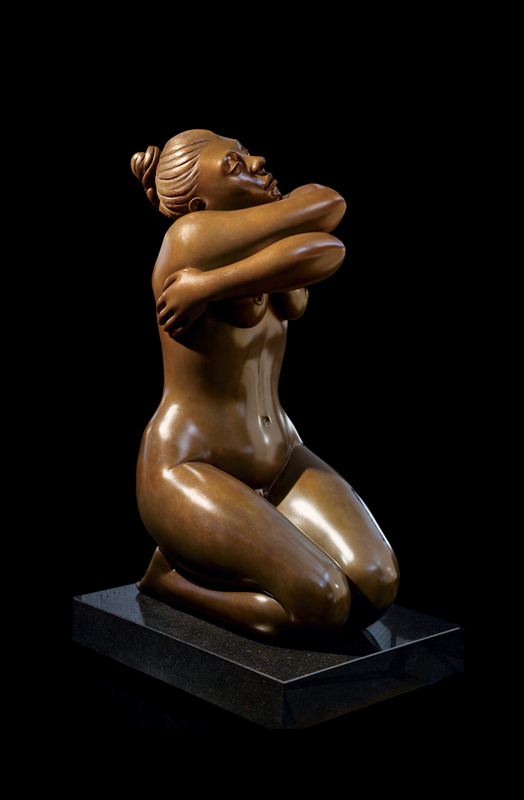 The sale total of the Auction was $20,981,125 ; the Auction highlights included works by Frida Kahlo, Diego Rivera, Rufino Tamayo, Wilfredo Lam, and Fernando Botero. Rufino Tamayo’s “Sandías y naranja”, which hung in Audrey Hepburn’s living room sold for $2,292,500. I was so happy and proud to see the sculpture beautifully displayed in Sotheby’s New York gallery. Click on the images to enlarge, and click here for more details of Sotheby’s “Latin America: Modern Art Auction”. 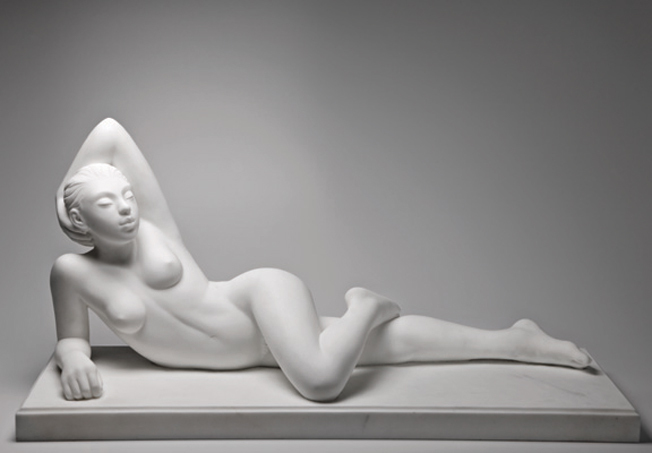 “Sasso,” one of my most-sought-after marble sculptures is on the market again. 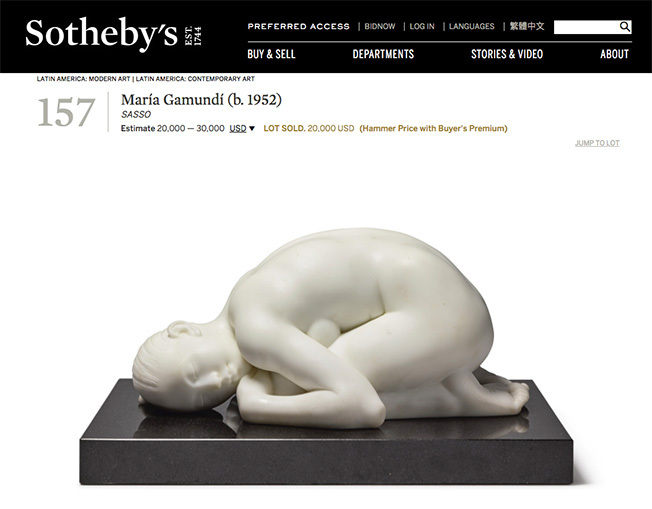 A Private Collector is auctioning off the 20x43x28cm Statuary Marble sculpture at Sotheby’s “Latin America: Modern Art Auction” which will be held in New York, the 22nd and 23rd of November. 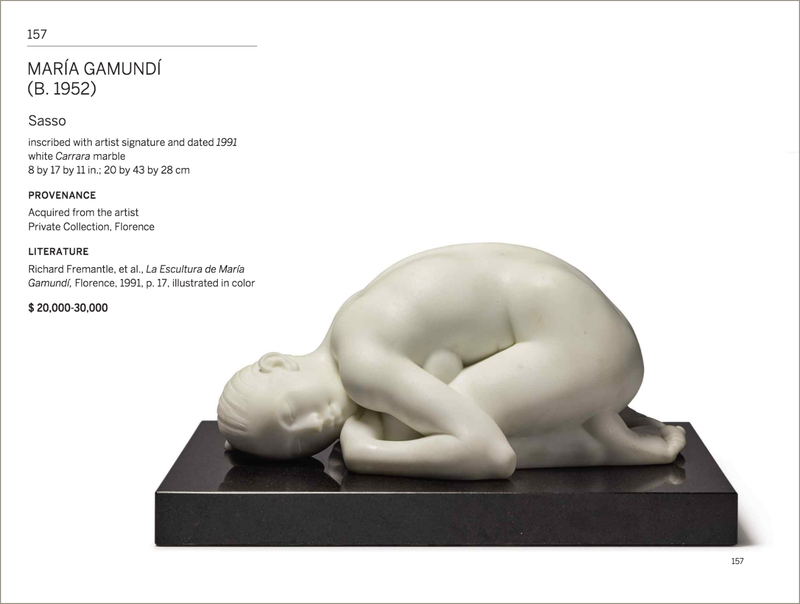 Maria Gamundí’s “Sasso” is Lot 157, and is featured on page 135 of the Catalog. Click on the Catalog cover to the right, or here, to leaf through the Sotheby’s Auction Catalog. A sneak preview of one of my new projects – part of the “Arte Fontane Camaiore” initiative. I am very happy to be part of a new initiative in the Comune di Camaiore: “Le Fontane d’Arte” project foresees the placing of sculptures at many fountains, and lavatoi, (ancient wash basins) in the Comune. Many international artists are contributing their works alongside Italian sculptors. The stated goal of the project is for each artist to intervene – without being invasive – by creating and donating a water-themed sculpture. A catalog is in the works, as is a map of all of the artworks. 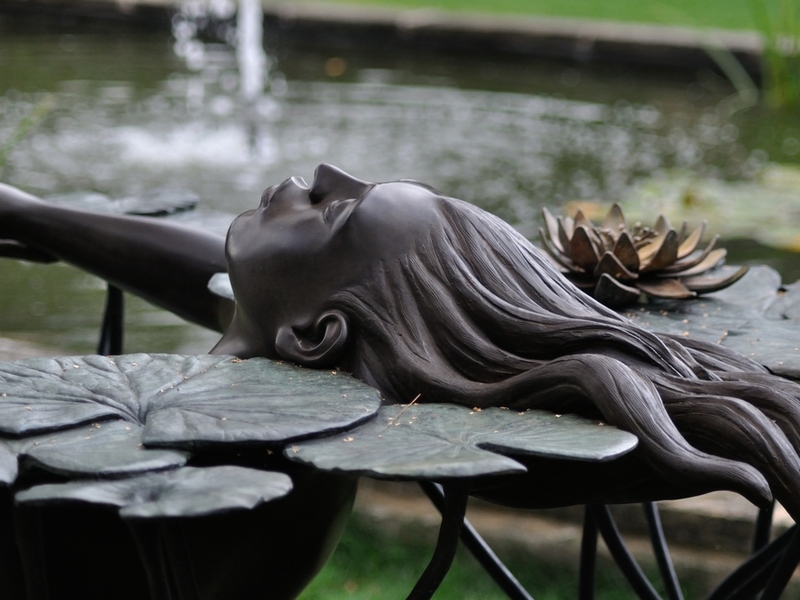 My sculpture depicts a young woman floating in water. The photo above shows the bronze without the patina. 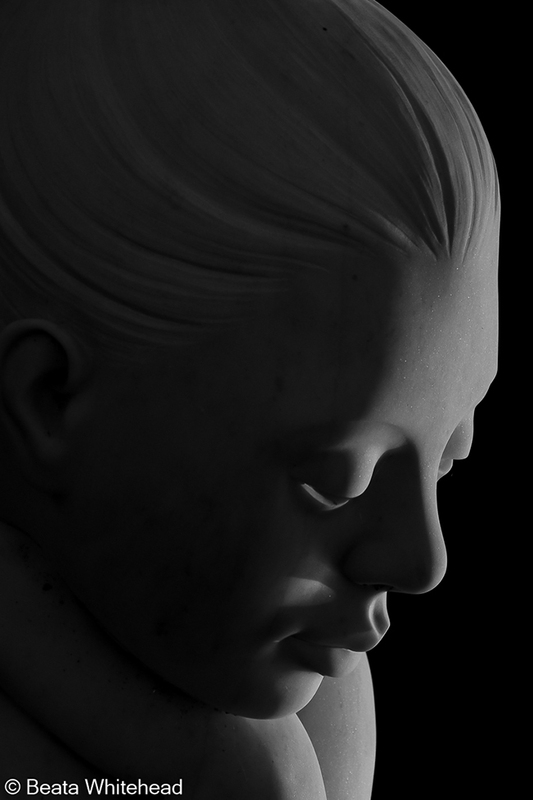 My sculpture will grace the little water-fountain by the Cemetery of Monteggiori. Stay tuned for more news and pictures as the project develops. Here is another photo of “Selene” in Newport News. The piece was commissioned by the Public Art Foundation of Newport News, and is one of the sculptures placed by the Foundation in and around Newport News. Find out more about the Foundation, by visiting their website, linked here. For a complete list of sculptures , visit the webpage, linked here. The photo is by Newport News-based photographer Beata Whitehead. 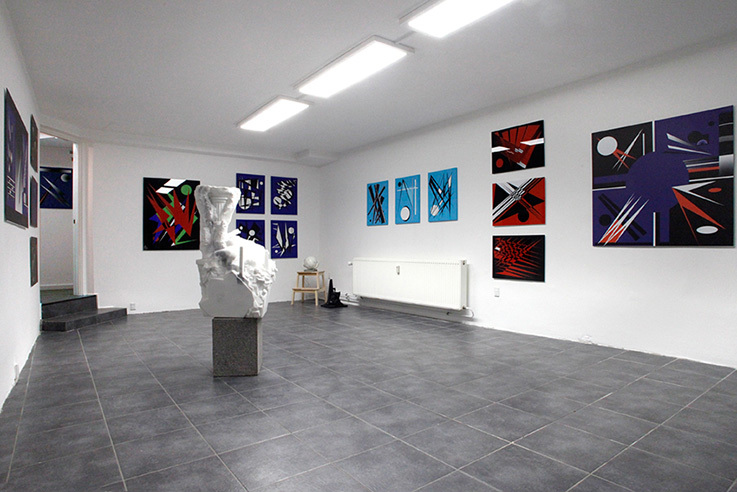 Here is a photo of “Awakening” – one of my marble pieces – in its present location. I am very happy and honored to have received this prestigious prize – it means so much to me. This is the XXV edition of the “Pietrasanta e la Versilia nel Mondo” International Sculpture Prize. 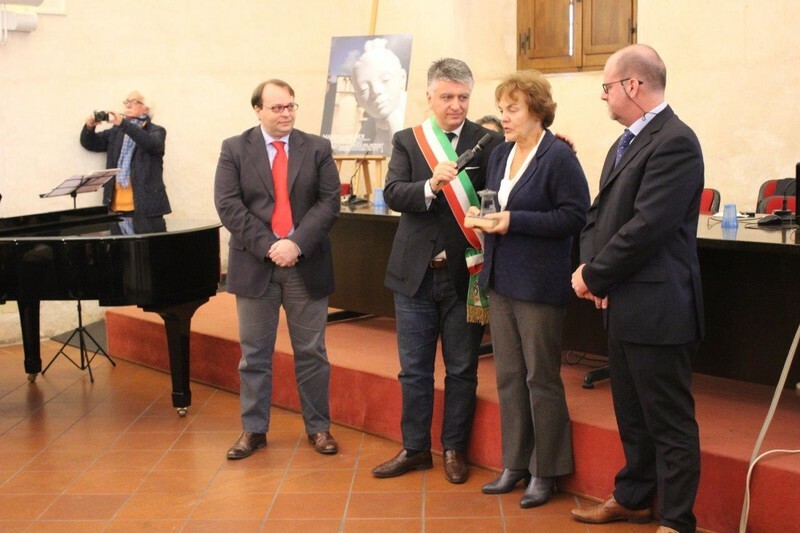 I would like to thank Pietrasanta’s administration, the Mayor Massimo Mallegni, il Circolo Fratelli Rosselli and their president Alessandro Tosi, the vice president of Banca Versilia and Garfagnana Corrado Lazzotti, the art critic Giuseppe Cordoni, Domenico Lombardi and all the wonderful artisans that through the years have worked me. A special thanks to the Fonderia Mariani, to Maestro Enzo Pasquini, Nicola Stagetti, Ulderigo e Alberto Giannoni, Sergio e Marco Giannoni, Ivo Poli, Giovanni Gherarducci, Alessandro Maggi and also a “Grazie di Cuore”a Valentina Fogher e Chiara Celli from the city’s cultural offices. I would like to thank everyone that participated at the ceremony and to all of you who have expressed your support from afar. Here are some press clippings of the event. 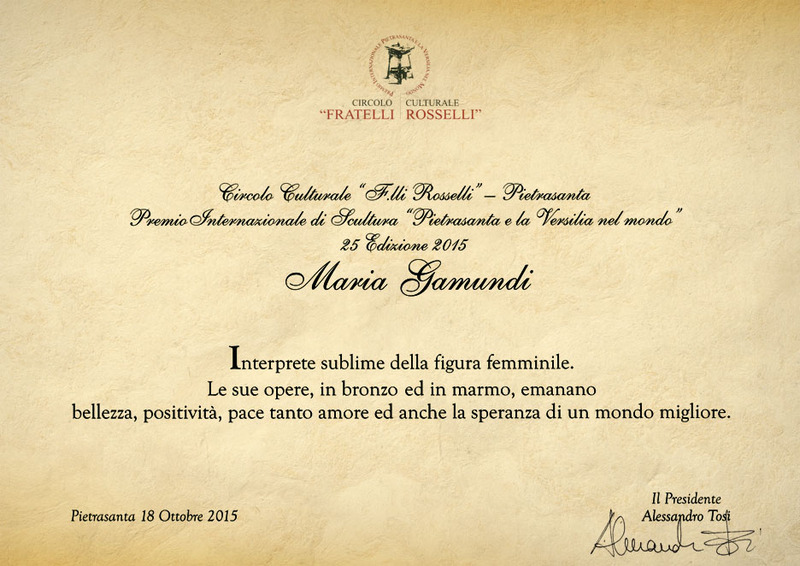 And linked here is the Circolo Fratelli Rosselli’s webpage devoted to this year’s ceremony. Each year Pietrasanta celebrates its Artigiani, the master craftsmen and women who work together with the artists to produce their visions in ceramics, mosaic, marble and bronze. 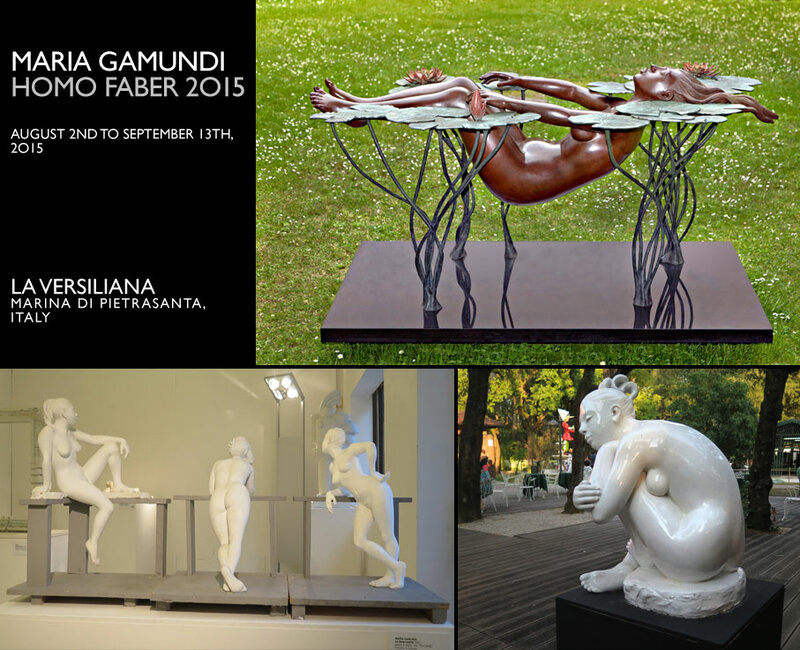 “Homo Faber, 2015” this year takes place in the beautiful setting of La Versiliana park (some works are also featured at the Pietrasanta Pier). I’ve worked in Pietrasanta for 40 years and have been lucky to work with and get to know some of the wonderful artisans in the city’s marble studios and bronze foundries. 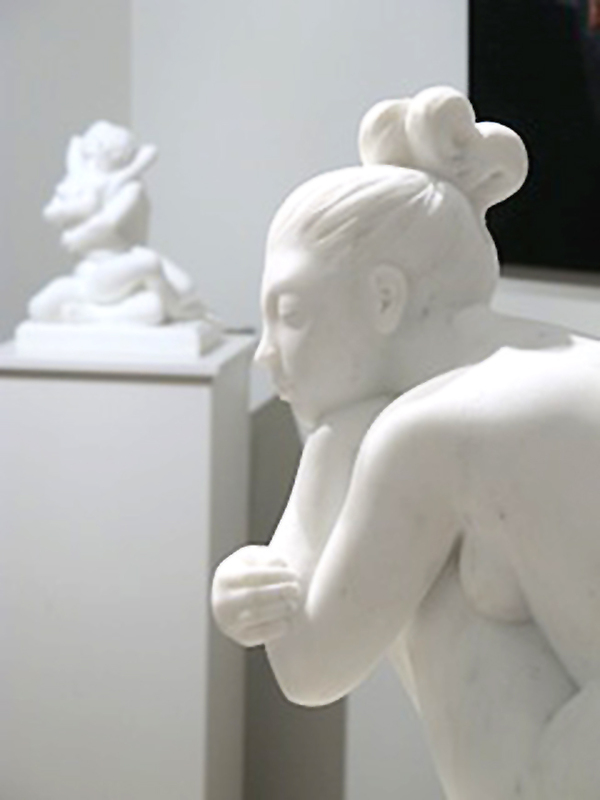 “Homo Faber” is an annual show that pairs artworks by some of the local and international artists who work in Pietrasanta, with the artisans and the laboratories in which they were produced. 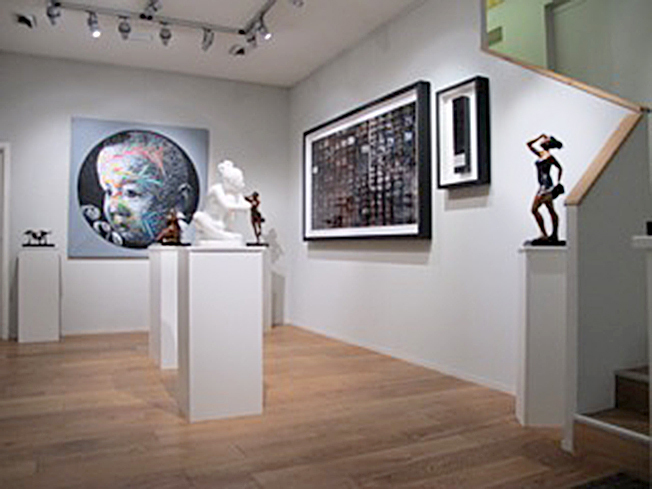 This year I am showing three pieces, “Ninfea” (shown at top in the picture above) a bronze sculpture which was produced by the Mariani Foundry, “The Observers” – this is a 70cm high gesso model, which is in the collection of the Museo dei Bozzetti, and a “Selene” in porcelain produced in the ceramics studio of Ivo Poli, all located in Pietrasanta. Visit the Fonderia Mariani website, for more info, linked here. Visit the Museo dei Bozzetti website to learn more about their collections, linked here. Visit the Ceramiche Poli website, for more info, linked here. And you can visit my website to see more of my work, linked here. Click on the photo above to enlarge it. 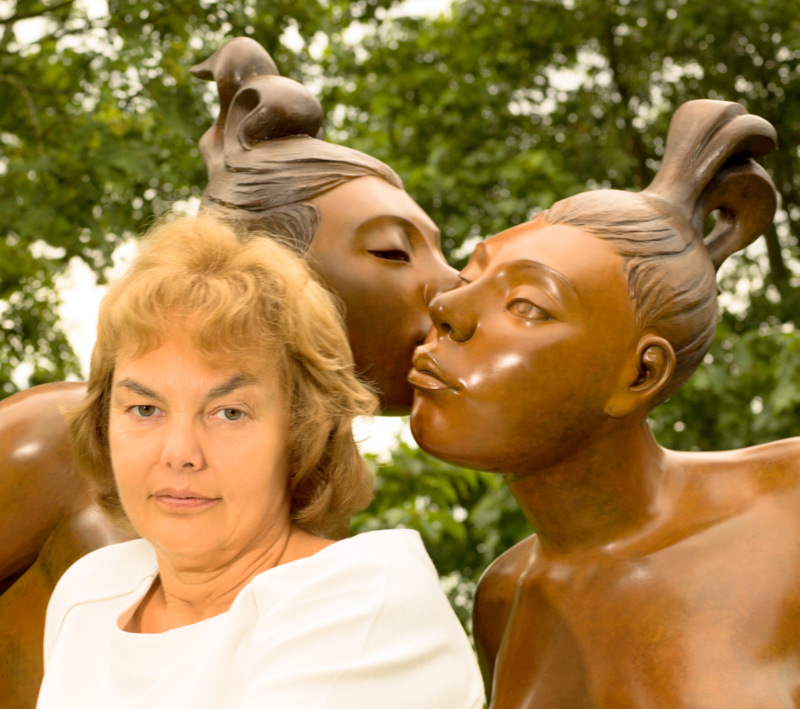 Here are some photos from the inauguration of my sculpture “Sun Worshipper” which took place last Saturday, the 30th of May, 2015. 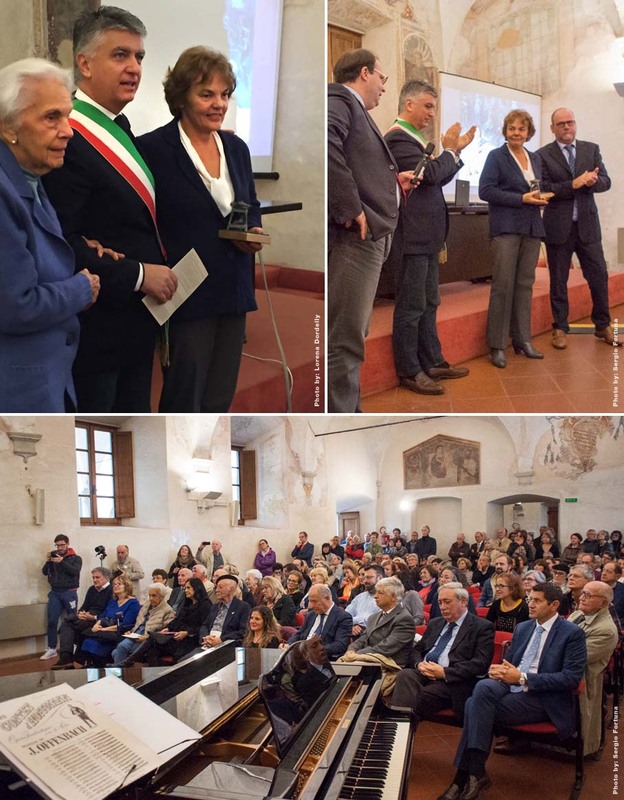 It was a great honor for me and I would like to thank Domenico Lombardi, Mayor of Pietrasanta, Italo Viti Pietrasanta Council member, Valentina Fogher, exhibition consultant for the City of Art, and everyone who came to the celebration. Many international sculptors – friends of mine – came to participate, along with some of the best artigiani who work in Pietrasanta. A special thank you to the Fonderia Mariani, the bronze foundry with whom I’ve worked for, for over 30 years and whose staff have become family to me. “Sun Worshipper” (Adoratrice del Sole) is now part of the Parco Internazionale della Scultura Contemporanea Città di Pietrasanta, which is an impressive collection of works by international sculptors. You can find out more about the International Sculpture Park at the Museo dei Bozzetti’s website, linked here. 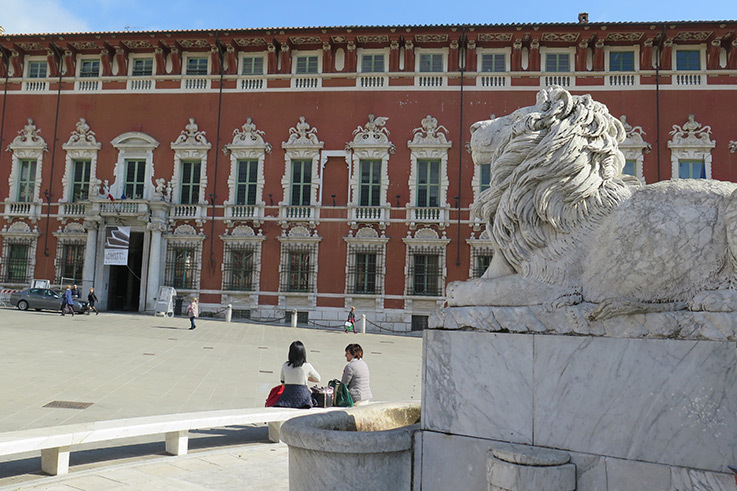 Visit the Museo dei Bozzetti’s blog, linked here, for up-to-date information. 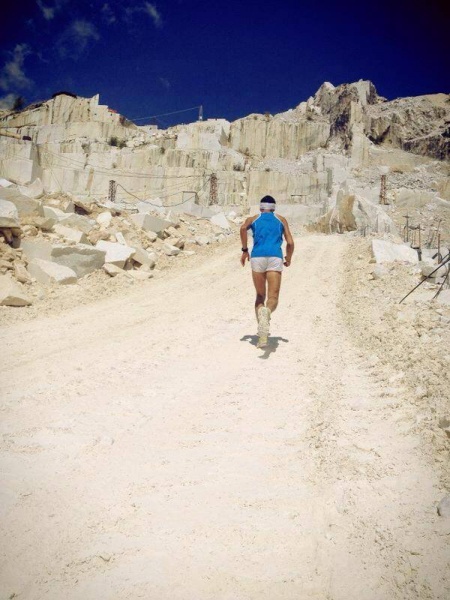 The photos are by Colomba d’Apolito – thank you Colomba – you can see more of her photography on her website, linked here. 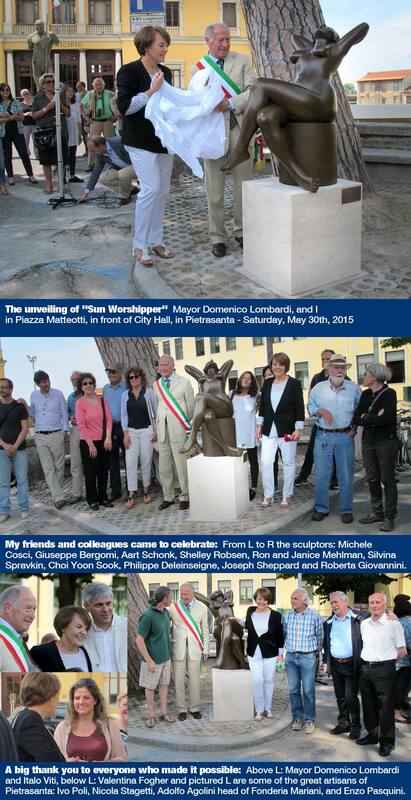 “Sun Worshipper” will find it’s new home in front of the Comune di Pietrasanta. on May 30th 2015 at 12:00 noon. Mayor Domenico Lombardi will preside over the ceremony. 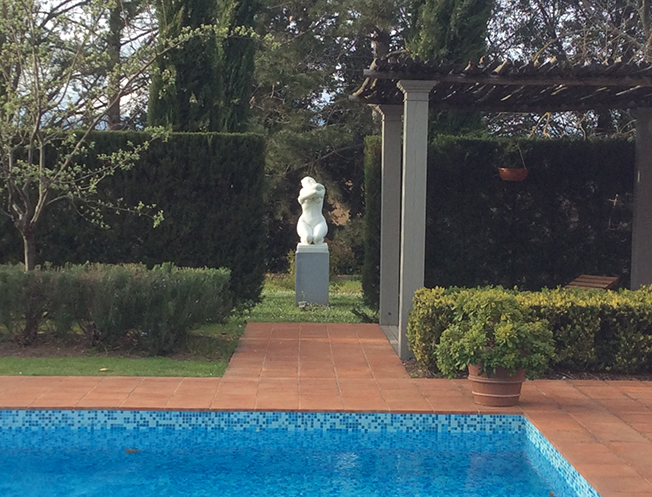 “Sun Worshipper” will become part of Pietrasanta’s wonderful International Park of Contemporary Sculpture. 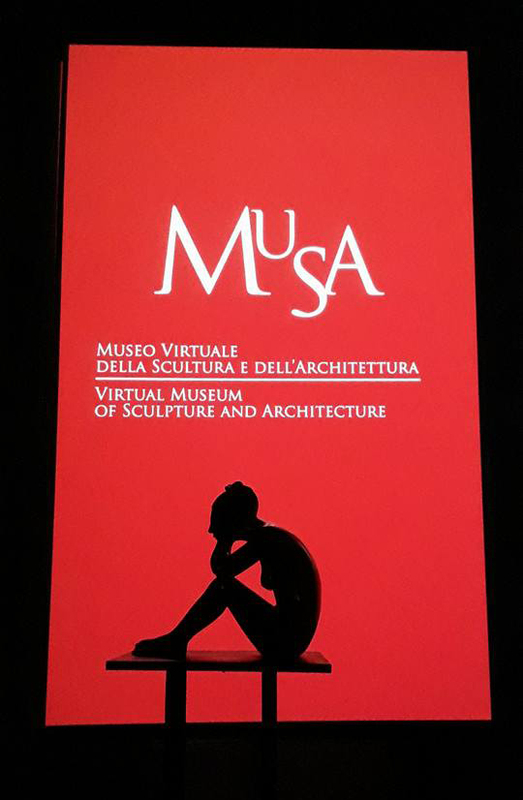 To find out more information about the Sculpture Park, visit the Museo dei Bozzetti’s” web page, linked here. 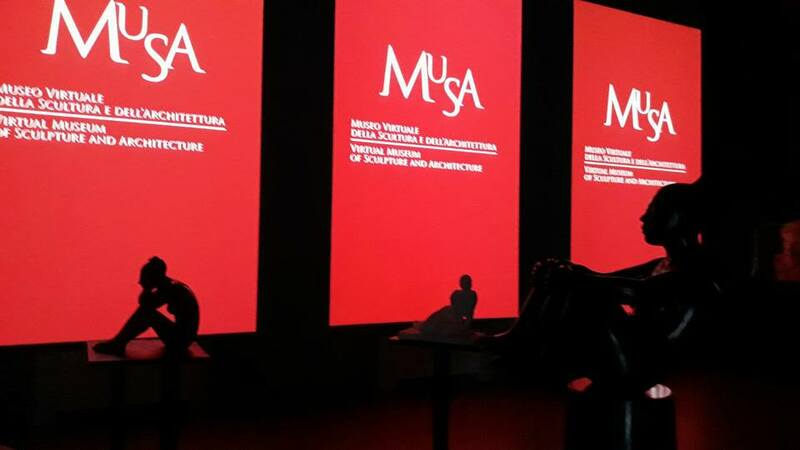 The exhibition “Le Forme della Differenza” at the Palazzo Ducale di Massa had a wonderful opening reception. 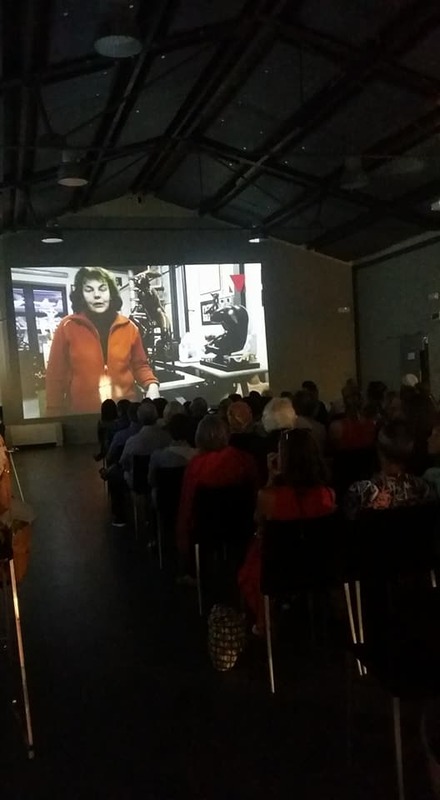 Giuseppe Capozzolo of Arte 33, an arts television program made a very nice video of the reception, which you can see by clicking on the link bellow. 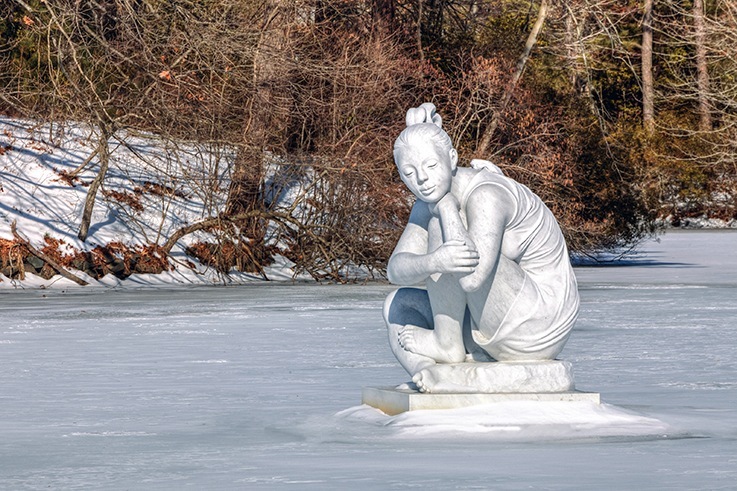 Thanks to landmark photographer Jerry Gammon who keeps good track of “Selene” in all seasons and weather conditions, we can now admire her in glorious spring. 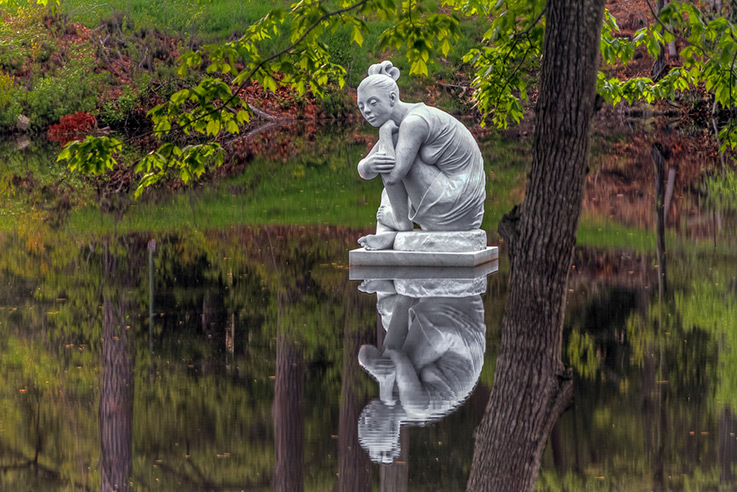 “Selene” was sculpted in Pietrasanta, Italy and now resides in Kettle Pond, Newport News, Virginia. For more information about the Newport News Public Art Foundation visit their web site linked here. To see more of Jerry Gammon’s photography visit his facebook page linked here. 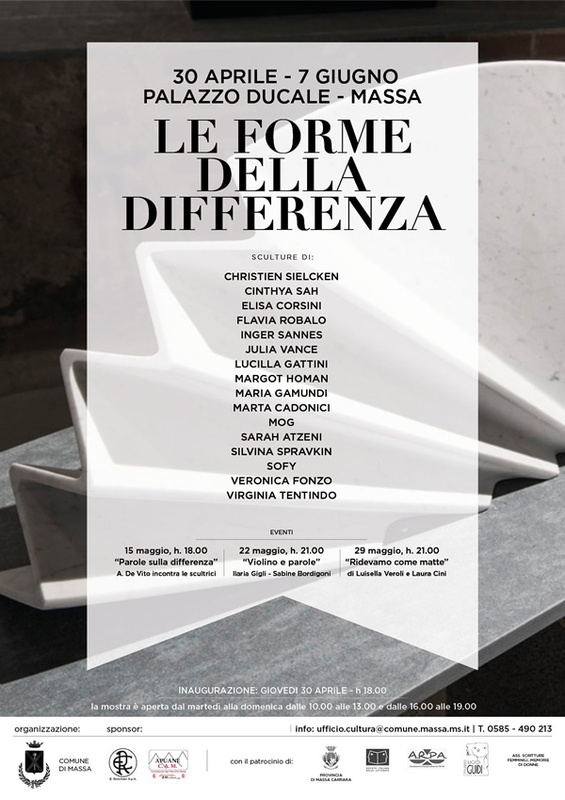 I am happy to participate in “Le Forme della Differenza” exhibition, which starts tomorrow, April 30th, in Massa. Pictured above is “Equilibrio” one of my works exhibited in the show. 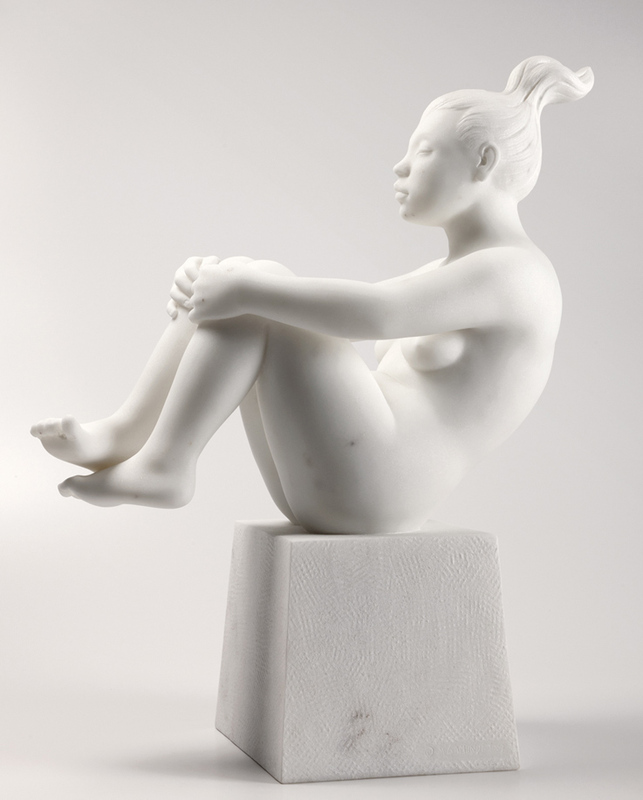 Sixteen women artists are showing three marble sculptures each. The artists, hail from all over the world, and many work in Pietrasanta. Christien Sielcken (NL), Cinthya Sah (Hong Kong), Elisa Corsini (I), Flavia Robalo (Arg.) Marta Cadonici (I), Inger Sannes (S), Julia Vance (N), Lucilla Gattini (I), Margot Homan (NL), Maria Gamundi (Ven. ), Morgana Orsetta Ghini (I), Sarah Atzeni (I), Silvina Spravkin (Arg. ), Sofy (F), Veronica Fonzo (Arg. ), Virginia Tentindo (F). The opening reception is TOMORROW, Thursday, the 30th of April at 6pm, and the show is in the beautiful Palazzo Ducale in nearby Massa. From the 30th of April, to the 7th of June, 2015. Hours: from 10am to 1pm, and from 4pm to 7pm everyday except Tuesday. 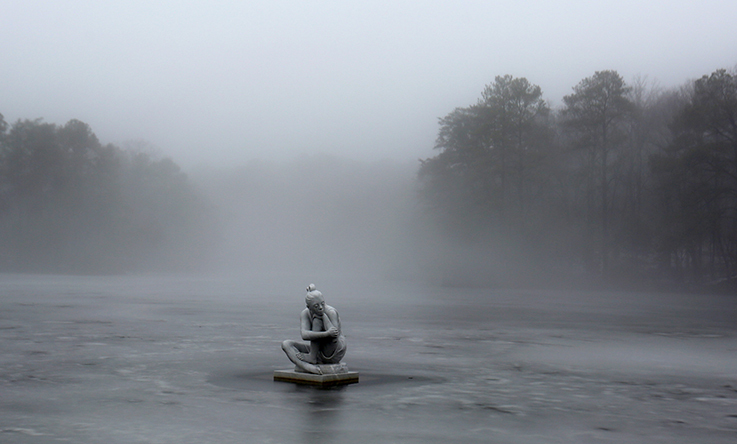 Landmark photographer Jerry Gammon keeps a watchful eye on my marble sculpture “Selene” in Kettle Pond, Newport News, Virginia and recently has sent me this wintery image of “Selene”. To quote Jerry Gammon, “Everyone is intrigued by Selene. They interpret her in so many different ways…that is a tribute to your artistry”.You can see Jerry Gammon’s web site: www.GammonLandmarkPhotography.com linked here. I am happy to be represented in the thriving Frederiksberg art scene in Copenhagen at the Gallerie Lorien. 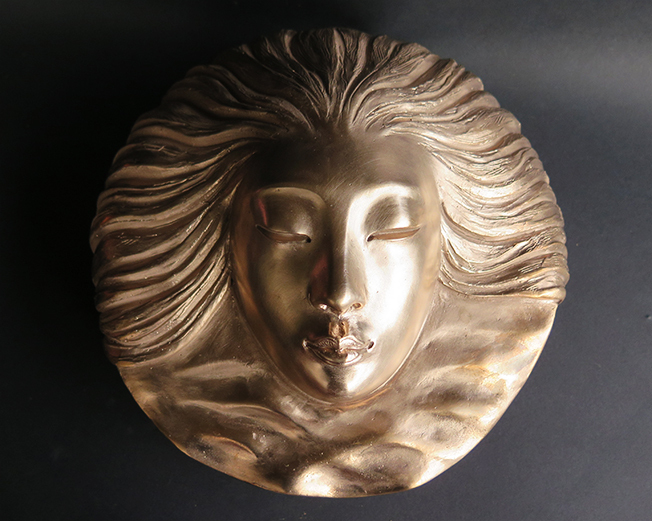 Tina Lorien, the owner, is a charming and knowledgeable person; She has worked in Pietrasanta for many years where she has met a network of international sculptors. 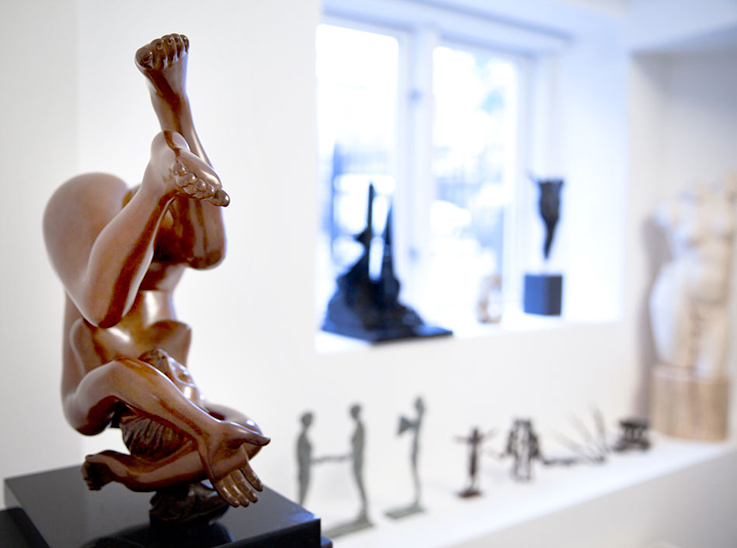 Find out more about Tina and the gallery in an article in the Copenhagen Post, which we link here. Visit the gallery website, linked here. I have the pleasure of being one of 18 Artists who live and work in Pietrasanta who are donating art to support ATMO/FITMO a Venezuelan-Italian organization who helps Venezuelan children with leukemia to get treatment here in Italy. 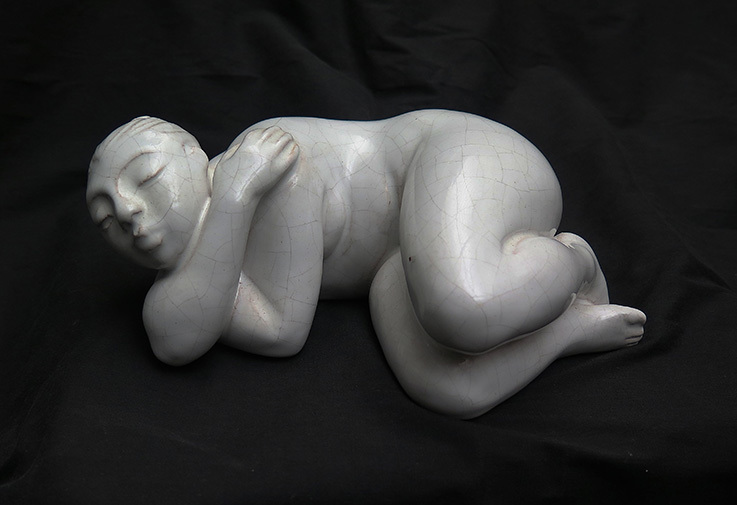 The work I am donating to benefit ATMO, “Donna Sdraiata” (pictured above) is a terracotta – Maiolica, one-of-a-kind. The charity art exhibition “Art x ATMO”…una mano para la vida…will take place at Agenzia “IKAROA travel and Books” – Via Mazzini 92, Pietrasanta. The show goes from the 13th until the 21st of December 2014, the opening reception is this Saturday at 18:30. To find out more information about this wonderful organization you can visit their Facebook page, linked here. 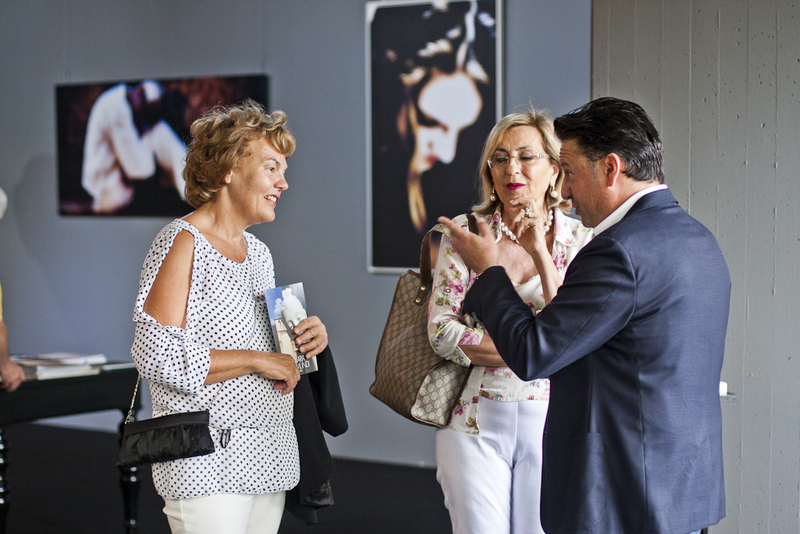 The exhibition continues until the 26th of October, 2014. Read the rest of the article, and see more pictures from the show, on the WSI website, linked here. 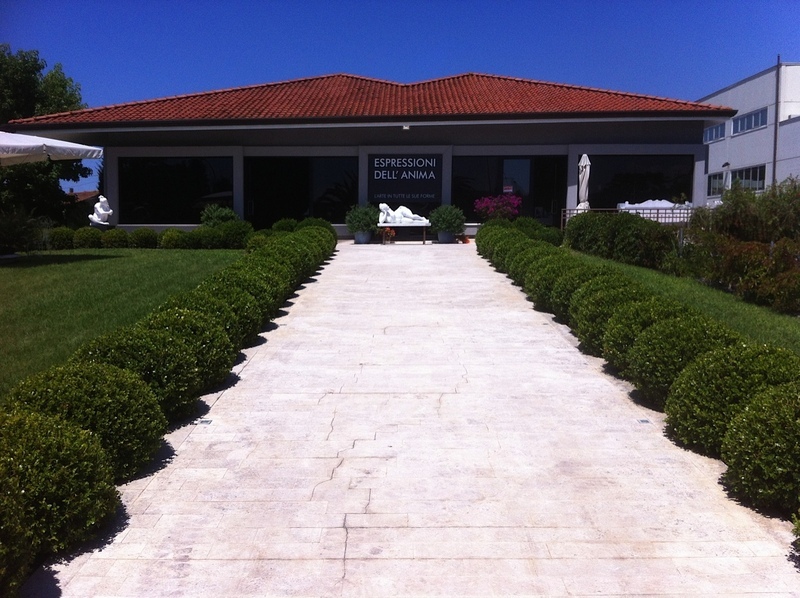 I have several sculptures exhibited at the “Espressioni dell’Anima” show. 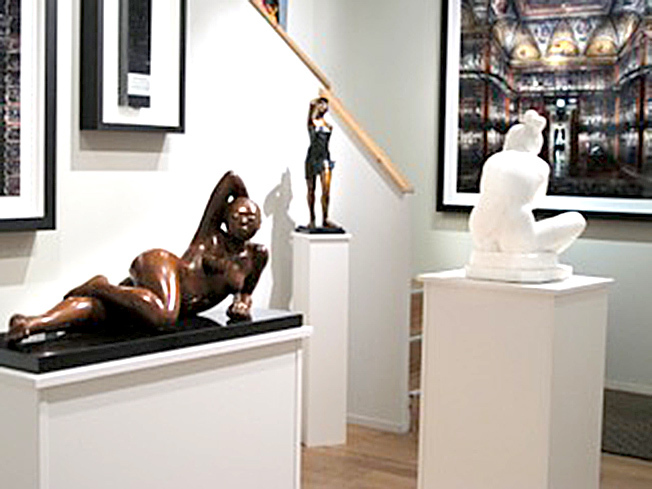 The show is curated by Simona Pesetti and features the work of other sculptors, photographers and painters. The exhibition continues until the 10th of August, 2014; the gallery hours are from Monday to Sunday from 10:30am to 1pm and from 6pm to midnight. The statue of “Selene” pictured below is made of Maiolica. It was produced in the ceramics shop of Ivo Poli, in Pietrasanta. The Botanical Gardens of Leicester University are a perfect setting for “Ninfea”. 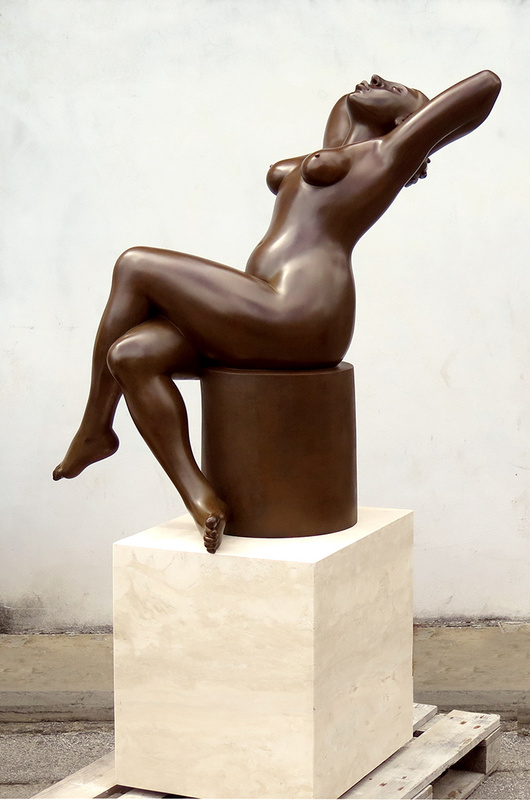 “Ninfea” is one of my recent monumental bronze sculptures. I took this photo at the inauguration of this exhibition on June 14th. 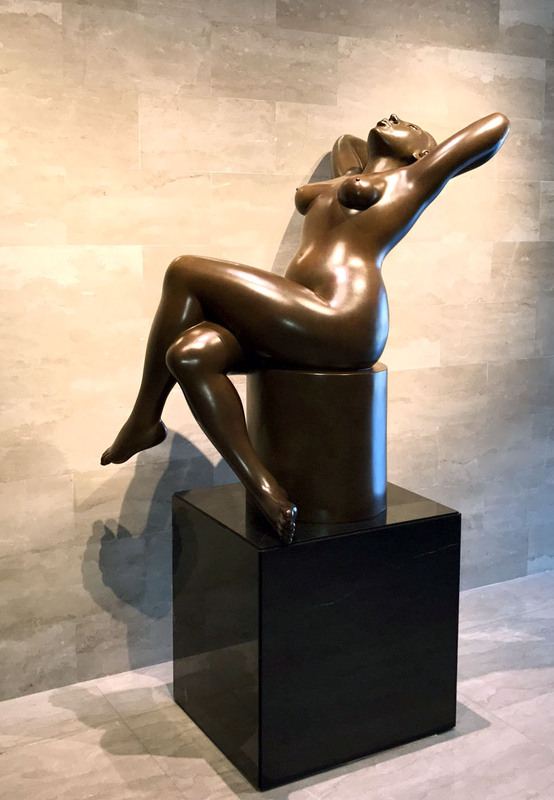 The exhibition, curated by Helaine Blumenfeld, features the work of many internationally known artists, many are friends and colleagues of mine who also work in Pietrasanta. 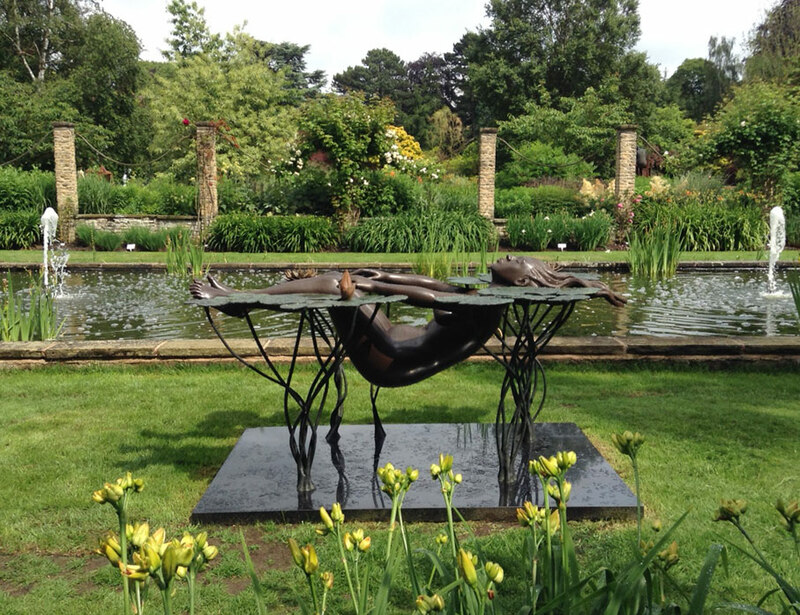 The show, The visionary Landscape of Professor Sir Robert Burgess, continues until the 26th of October 2014.